Avirtel, a subsidiary of Cybernet Communication Inc., US, was founded in 2000, with a simple goal – provide ICT services with the best value approach. On the eve of its 15th anniversary, Avirtel has successfully rebranded, established long term cooperation and partnerships with global brands, increased number of the solutions and products with the aim of providing more quality and advanced solutions to its customers. Avirtel has a long history of being a challenger in the Azerbaijani telecommunications market, and is a leader in customer service. Our company is backed up by a dedicated team of friendly customer service staff who would always look after our customers. Today Avirtel customers still enjoy the same top-notch customer service since the very beginning. 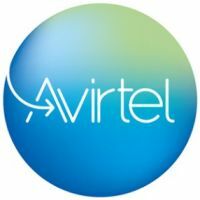 Offering comprehensive products and services that ensure reliable, convenient and secure connectivity, Avirtel, facilitates effective communication for its customers with the rest of the world. Customers take full advantage of Avirtel’s High speed Internet services, IPTV, 088 Toll Free, Call Center, Business Processes Management Software (BPMS), Mobile solutions, IT Outsourcing, ICT Consulting and Training, Web-designing, Advertising, IT Security Services, LED solutions and large suite of products. Our mission – To exceed customer expectations and achieve Service Excellence at all levels. Our footprint – we are present in Baku and 40 regions of Azerbaijan to offer all of our products and solutions. Our partners – We have established a range of alliances to meet the needs of our diverse customer base. We became partner, mostly on the exclusive basis, with such successful global companies as Apple, SNOM, EZCAST, BlueSonic, ADTRAN, NetSapiens, Mimio, TELDOR. Achievements – We have been recognized year on year by independent organizations. Along with several achievements, we were chosen “The Internet Provider of the Year” for two years, and awarded with “Brand Award” for successful introduction of Toll Free Service. Avirtel is opening its brand new showroom in short, where we plan to showcase state of the art technologies, as well as organize sales and aftersales support of all Apple products. Our experience in Azerbaijan, coupled with the wealth of local and international partner knowledge ensures our future success. We understand the needs of local businesses as well as the legislation and regulatory conditions governing them. We are ICT experts who provide the best solution for every business despite of their size or proximity. Regardless of the industry or need, we believe that the most important service we can provide is Excellent Service!